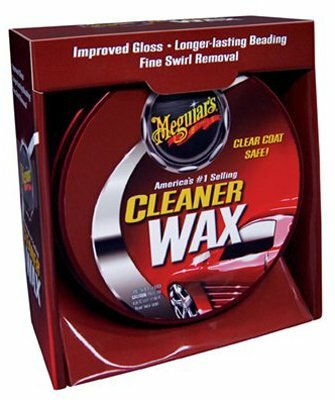 Meguiar's Car Cleaner Wax Paste 11 ounce is the most versatile, one step wax specially formulated to produce eye-dazzling results on all finishes. Rich conditioning oils and legendary gentle cleaning ability make it an excellent choice for daily drivers exposed to the elements. For best results, use our Even-Coat Applicator to apply Cleaner Wax and a Supreme Shine Microfiber or Ultra Plush Super Terry for removal. The easy-on, easy-off soft paste wax for a high gloss shine in one simple step.